At the end of the 2018 Russia and China have agreed on mutual supply of milk and meat and agreed upon a list of companies, which included 10 Russian and 10 Chinese companies. 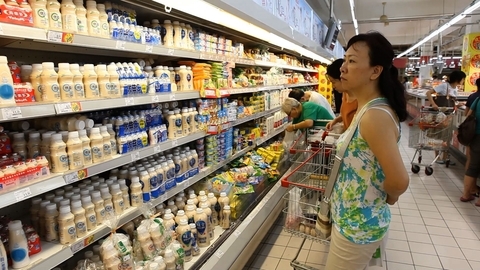 China has approved the supply of dairy products with the following Russian companies: CJSC "Alekseevsky dairy-canning plant" (Belgorod region), JSC "Pugachevsky milk" (Saratov region), Galaktika, OOO (Leningrad oblast), OJSC "Milkom" (Izhevsk), LLC "EkoNiva Milk Voronezh" (Voronezh region), LLC "Zalesskiy farmer (Kaliningrad oblast), Dairy Penza (Penza oblast), Belebeevsky dairy plant (Bashkortostan), Voronezh dairy factory (Voronezh region), LLC "Lactalis Istra" (Moscow region). In November 2018 was signed protocols on veterinary and sanitary requirements during mutual supplies of dairy products, which are necessary for deliveries. The Rosselkhoznadzor informed that Russian companies will export to China not concentrated and condensed cream buttermilk, yoghurt, kefir, whey, butter, cheese, curd and casein obtained from cow, goat and sheep milk. 14:30 International online exhibition of confectionery, bakery products and groceries "SweetEx-2019/Sviteks-2019" has already BEGUN!